Barcelona-born and London-settled yogi, I guess that this blog is a project that defines myself pretty well. Since I was a child, I’ve always been interested in health and well-being, I still remember advocating for my dad to quit smoking as a 10 year old. My teenager self-discovery years pushed me to read and learn about psychology, mind and relationships. This was an inner interest I still hold today, and that led me to complete a year course in Humanistic Counselling Skills at the Gestalt Centre in London, and another year as a Listener Volunteer with the Samaritans Charity. My university time, both in Spain and the UK, taught me the ins and outs of Media, with writing being the hook that dragged me to Journalism. Finally, my professional career introduced me to the world of content marketing, SEO and blogging… to finally happily settle in the growing and exciting industry of digital advertising. Reaching my late 20s (and sitting in an office for too many hours), made me want to learn more about nutrition and ways of feeding my body better. And then, it arrived yoga. The glue that mixed it all together, mind and body. 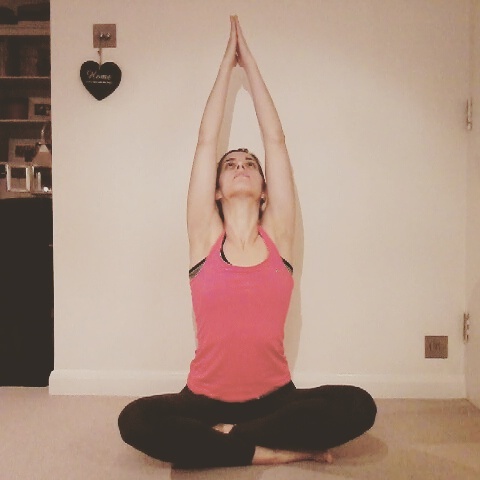 The discipline that gives name to this blog and that helped me to discover how a physical practise could also calm the mind and provide answers, and vice-versa; as I tried to explain in the post What do you mean by “Be Like Yoga”? And here I am now! I hope you enjoy the visit to this little space, where I ultimately wish to share my love for yoga and well-being in different shapes and forms. I hope we can connect somehow – either mentally or virtually – and you also find some answers to your questions, either body or mind related.